Oblong capsules contain the seed. The green, then yellow capsules turn brown in autumn, finally dehisce and release the seeds. Comments: One of the most fragrant spring flowering vines. It produces a large number of flowers, so many that the vine is concealed by the numbers of blooms. 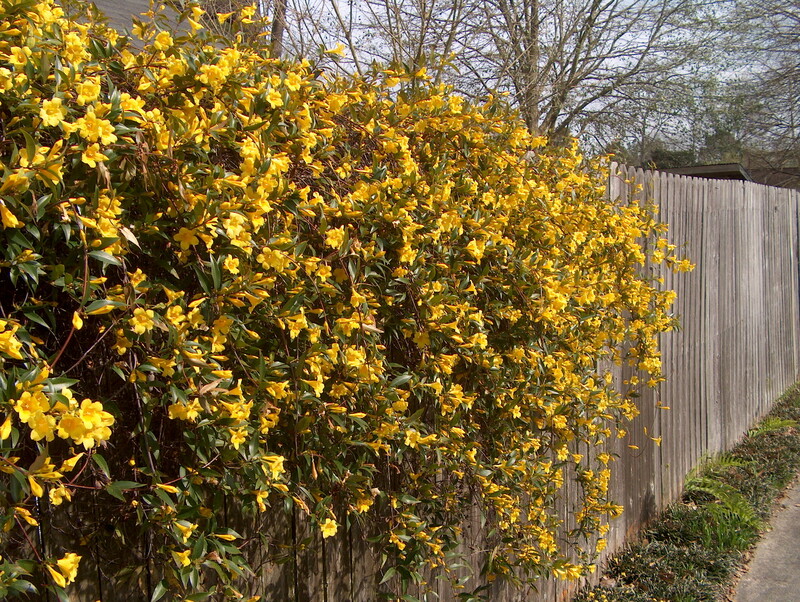 It can be used as a ground cover, on overhead structures, and fences. This vine may be semi-evergreen, particulary after hard freezes.